For those of you that don’t know me personally, I have some exciting news. For those of you that do know me personally, HOW COULD YOU HAVE FORGOTTEN MY BIRTHDAY?!?!?! I’m kidding, of course. 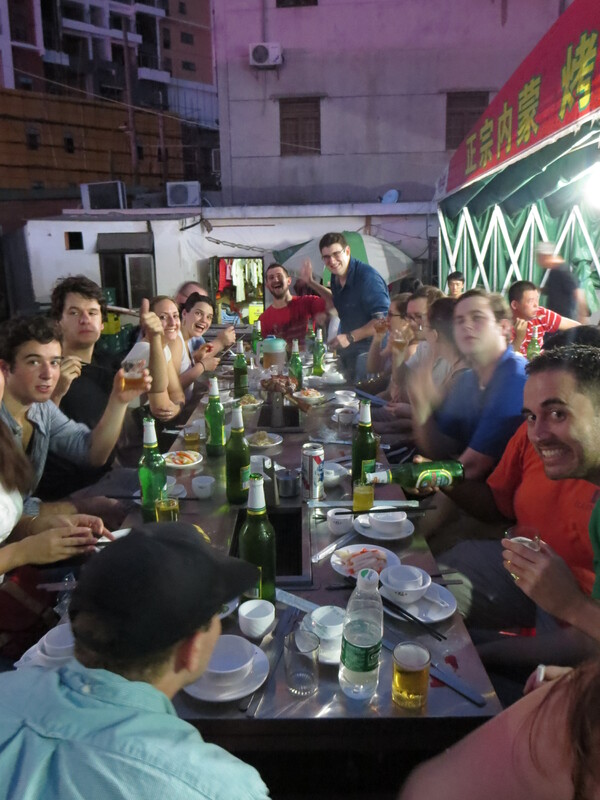 I turned 25 in May, and decided to force a bunch of my inner district friends to make the trek out to Yantian to eat some (fantastic) lamb leg in celebration at a restaurant with a bit of an identity crisis. 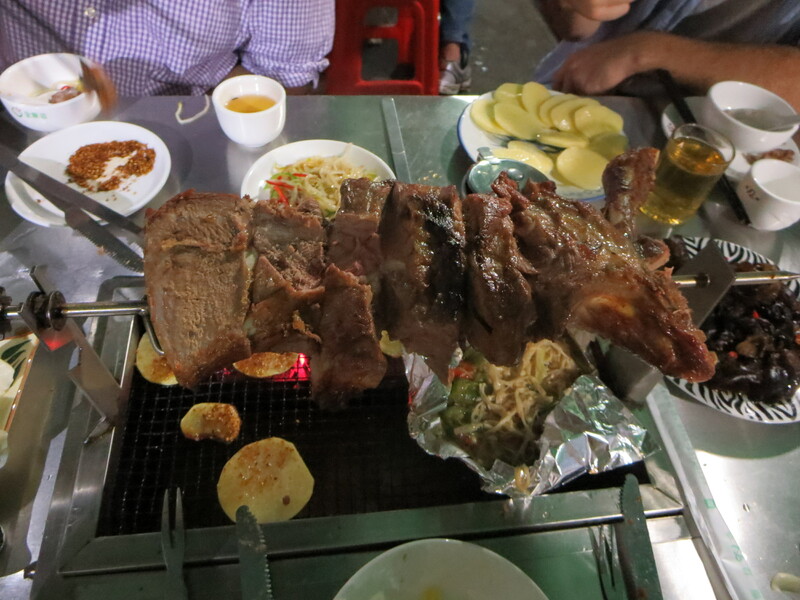 It is simultaneously an Inner Mongolian/Harbin style restaurant that serves huge chunks of lamb meat on a skewer. For those of you that know about Chinese food in China, you’ll know that huge chunks of meat are something of a rarity, and most dishes often come with tiny slivers of meat, usually in pretty small portions. Noodles, vegetables, and oil always dwarf the flesh of the animals we all (ok, not all, but most of us) love to eat. The lamb leg is succulent, dripping with fantastic juices. It’s one of my favorite restaurants in all Shenzhen, and I’m both excited and sad that I discovered it so late in the year. I forced my friends to come join me in a night of revelry rivaled in deliciousness by none! More people came out than we expected (it takes a brave soul to travel to Yantian on the Chinese-language only bus system), and the enjoyment of all was multiplied by the smiling faces of each Yantian newcomer. While the highlight of my birthday was this truly spectacular dinner, it wasn’t all that happened that day. I only taught two classes, but one of them sang me an “Adventure Time” themed happy birthday song, and made a cool little drawing of one of the main characters that they gave me as well. Another student gave me a cup that I can use to drink very small quantities of tea. My Chinese class (the one where I study Chinese, not the one where I teach Chinese students) sang me happy birthday before we shared a tasty cake compliments of Lin Laoshi, my awesome teacher. 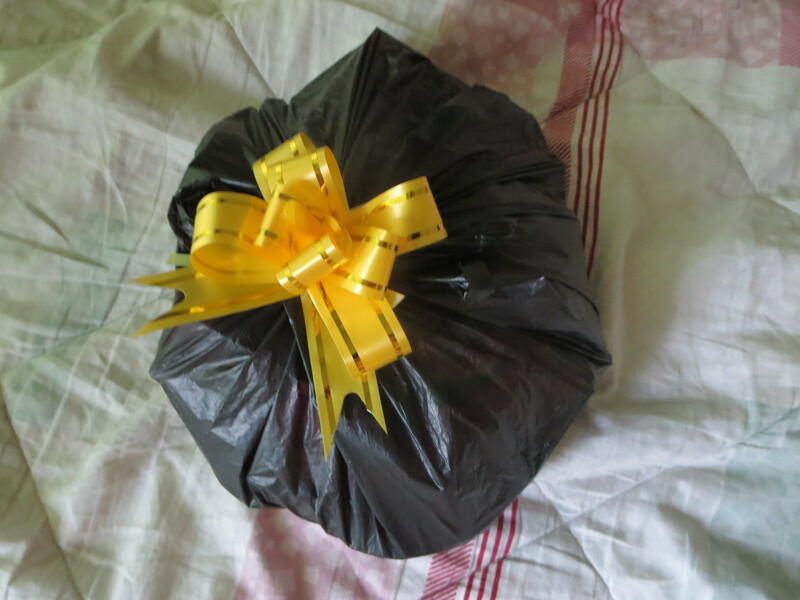 Adrianna, the wonderful ball of love that she is, gave me a bag full of candy and some “Banlev Chuans,” or off-brand Calvin Klein Chinese underwear. It was a good birthday, and though I couldn’t celebrate it with many of my oldest friends and family, my new friends did an excellent job of filling in during my time of need.